The world premiere of JC Lee's warplay, directed by Ben Randle at San Francisco's New Conservatory Theatre Center (NCTC), was nominated for six Bay Area Theatre Critics Circle Awards. warplay was nominated for Best Production, Best Director, Best Performance by a Principle Actor (JD Scalzo), Best Costume Design (Miriam Lewis), and Best Sound Design (Theodore J. H. Hulsker). 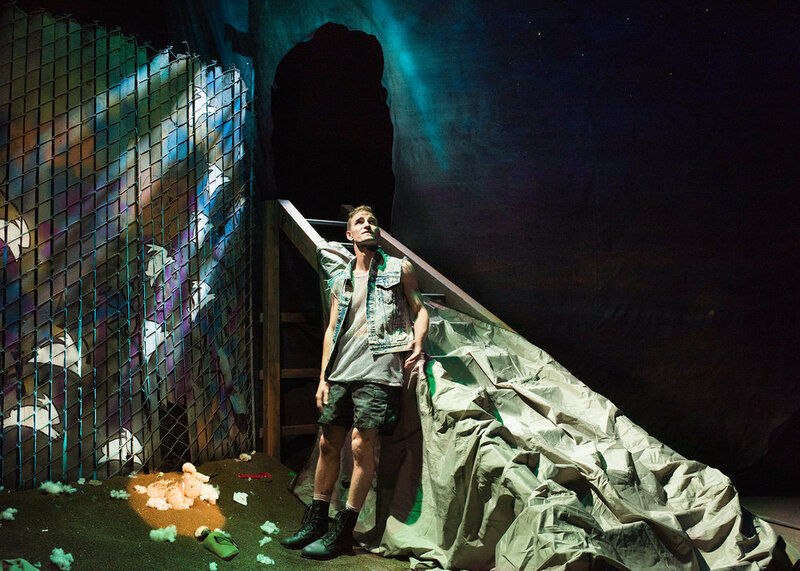 Inspired by The Iliad and the epic tale of Achilles and Patroclus, warplay is a "shockingly funny, poetic and radical re-imagining of one of the oldest love stories in all of Western literature," according to NCTC press materials. "Two Young men. A battle rages in the distance. Game on." warplay was commissioned and developed as part of NCTC New Play Development Lab, under the direction of Randle. Lee and Randle previously collaborated on the world premiere of Lee's Into the Clear Blue Sky in 2011, which also received several nomination, including BATCC nominations for Best Production and Best Director. It won for Best Lighting Design for Christian V. Mejia. The world premiere also featured scenic design by Devin Kasper, lighting design by Mejia, prop design by Adeline Smith, and stage management by Kaitlin Rosen. The awards will be announced March 26 at a ceremony in San Francisco. Lee recently premiered his latest play, Relevance, at MCC Theater, directed by Liesl Tommy and starring Jayne Houdyshell.